Spotify for mobile is an accomplished app that gives you access to one of the most popular and high-end music streaming services on the market, but the features aren't exactly the same between the iOS and Android apps. One of the missing features Android users have been calling out for is the ability to rearrange playlists within the app. You can't currently rearrange the order of songs within the Android app, so you aren't able to fully edit playlists when on the move. It may sound like a basic feature, and it is – it's already available on iPhone – and now Spotify has confirmed it's coming to Android soon. 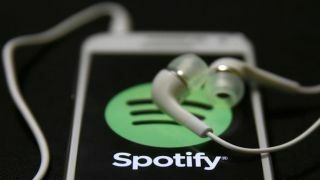 Posted on the Spotify Community, a spokesperson for the company said, "We’re really excited to announce that the right folks are now working on this idea. An upcoming version of Android will see this feature initially released to a small number of users." That doesn't sound like it's going to be coming immediately though, so it may still be a few months until Spotify deems the feature ready for inclusion in your Android app. It may be a very minor feature, but it means we're one step closer to having iOS and Android Spotify apps that offer the same functionality.